Just thought I’d get that outta the way. 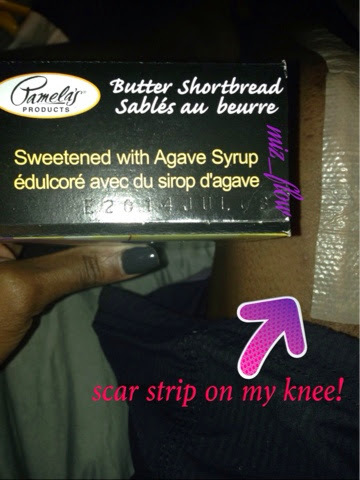 Now, as I blogged about a few times, I’ve gone gluten free before. I did it for a whole year. It was difficult because I love cookies, cakes, pasta, bread…basically I love gluten-y things. When it comes to pasta, rice pasta was a great substitute as I found little difference between rice pasta and regular semolina pasta, especially after sauce and everything has been added in. But, bread was an absolute nightmare. I tried a couple breads that were just dreadful. One loaf of bread that I bought was so crumbly and weird that I couldn’t even begin the THINK about putting it into the toaster, lest I destroy the bread, and more importantly, the toaster. For that reason, it simply wasn’t worth it for me to buy or eat bread, so I cut bread out altogether. Cookies and sweets were difficult too. I bought cream sandwich typed cookies (think Oreo) and they were very “meh”. I also bought a gluten free cake mix which my mom made for me. It was also very “meh” (at best). So again, I just didn’t bother eating sweets at all for the most part. 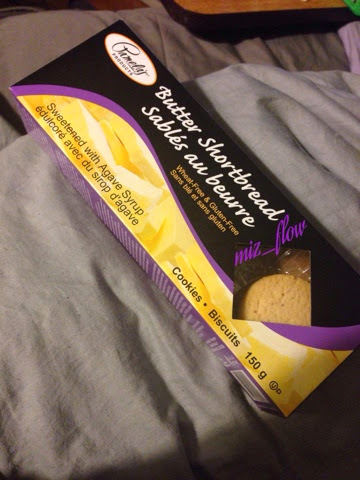 I was browsing the website well.ca the other day and came across some gluten free shortbread cookies. They were called “Pamela’s Butter Shortbread”. Of course I kind of wrote it off immediately in my head due to my previous experience with gluten free cookies. But then I thought-what’s the harm in looking at the reviews? 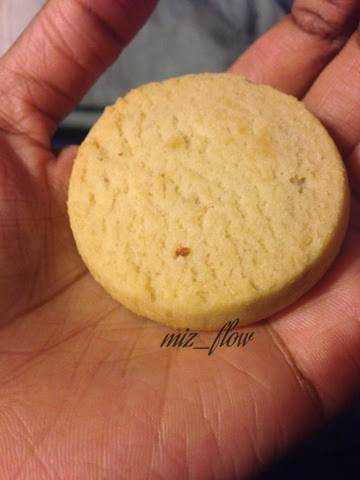 So I navigated over to the reviews, and people were just LOVING these cookies! The reviews were all excellent. But, were these reviews coming from gluten hating people who were either used to the weirdness that sometimes comes with gluten free products, or people who don’t eat or have never eaten gluten? Well, the cookies cost about 4 bucks, so I thought…what’s the harm? I ordered a box. The cookies arrived yesterday: Pamela’s Butter Shortbread-wheat free & gluten free. 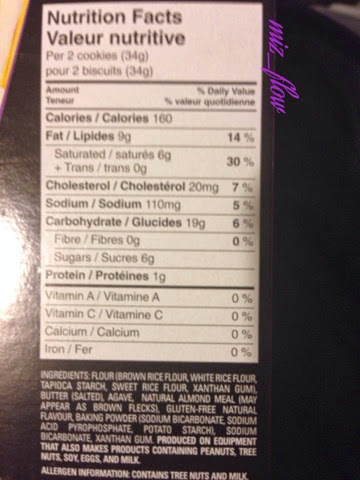 There are the cookies’ ingredients and nutritional facts. Meh, It’s not a stalk of celery but I’m also not gonna bust outta my jeans either. The cookies are packaged in little stacks like this. There are 3 cookies in a stack. 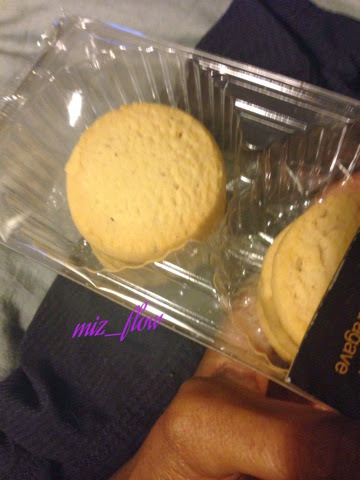 When I bite into a shortbread cookie, I expect buttery, sweet, slightly salty, crumbly goodness. Amazingly, this was the case for this cookie! Having in mind that it’s a gluten free cookie, the crumbly aspect wasn’t AS prevalent as it is in a “regular” non-gluten free cookie. But that did not take away from the scrumptiousness of this cookie. I ate two and then stopped myself, lest I eat the whole box without even flinching (I’ve been known). These cookies were extremely yummy-best gluten free cookie I’ve had so far. Pamela’s Butter Shortbread gets 4 and a half “get in ma bellies” out of 5. Definitely worth a try. 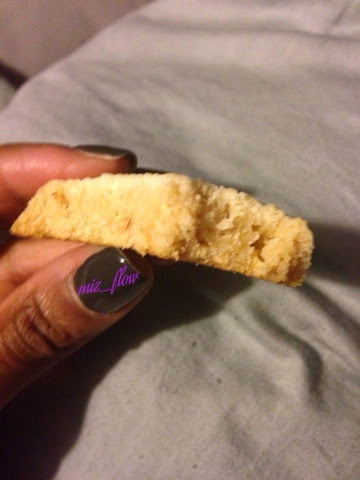 And that is my Pamela’s (gluten free) butter shortbread review!